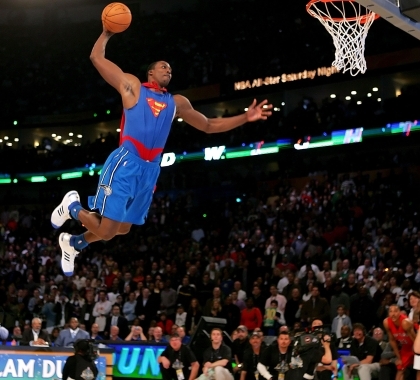 Dwight Howard is one of the marquis big men in basketball. He is on a short list of dominant centers in the NBA today and quite frankly, might just be the best. Young, big, strong, freakish athleticism, charisma, Dwight has everything the Nets need and so much more. This trade is a no-brainer for the Nets and let me tell you why. Sure, I love Brooke Lopez just as much as the next Nets fan. He is home grown and we’ve watched him develop since his rookie year only a short few years ago. But guess what Nets fans, he is nowhere near the player Dwight is. And that is saying something since Lopez is basically on the door steps of being a perennial All-Star. So yea we give up Brooke and 2 1st rounders. So what!?!? You have no idea who those first rounders will even be or if they will even be lottery picks. The worst part about this trade, in my eyes, for the Nets, would be taking on the contract of Hedo Turkoglu. This would put the nets front office fairly close to the cap with Deron Williams, Dwight, and Hedo if Dwight and Deron were to resign next year. But it’s a risk you have to take! I don’t believe that Deron is a lock to stay for the move to Brooklyn as is but if we continue to show him they we want a winner, I can’t think of a better way to do that then by sending a message to the entire NBA that the Nets are for real then for trading for Dwight Howard. Sure they won’t have a lot of cap maneuverability but they have some other pieces on this roster as is. Anthony Morrow would blossom with Dwight’s present as he would draw countless double teams in the box leaving Morrow open. Little known fact is that Morrow had the highest three point percentage in the league last year. Howard’s presence would only increase that number. A wing and a PF would obviously be our two big needs and that can be taken care of in free agency or the draft. This would be a HUGE step in the rebuliding process for this organization and I really hope the Nets can find a way to pull the trigger. So this is the first Carmelo report that I’m taking seriously. 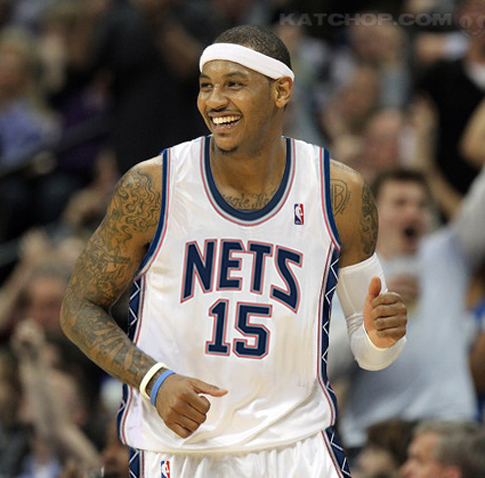 But here’s the thing, I highly doubt Carmelo will sign an extension with the Nets. He’s already said publicly that he doesn’t want to go to New Jersey. This doesn’t mean Carmelo won’t join the Nets this season. I’ll have more on this as soon as this story develops. 2:45 PM: Ric Bucher of ESPN reports that Carmelo will sign an extension with the Nets if the Knicks don’t make a deal. Ok so now it’s time to deal. Throw away the idea of signing him in the off-season. Time to make a deal now. Let’s hope the Knicks don’t have to give away Chandler and Gallinari. For the past week, the Knicks have quietly been one of the worst teams in the NBA. Once again, no one is playing defense and the only player scoring is Amare. This just proves that the Knicks aren’t as good as we thought. They’ve scored 83 points against Sacramento and 89 against the Rockets. Are you kidding me? Even when they were winning 23 games per season back in ’07 the Knicks were still putting up triple digits. They better figure it out soon or they will find themselves out of the playoffs in no time. Last night, the New Jersey Nets’ owner Mikhail Prokhorov decided to drop all talks dealing with a trade for Carmelo Anthony. For the past two weeks, the Nets and the Nuggets have been trying to make a deal but there have been some major hiccups. First, the Nuggets are trying to get rid of Al Harrington so they don’t have to pay him $7 million at the end of the season. The Nets didn’t want to inherit that contract so the deal was temporarily off. Then it came out that if Carmelo was traded to the Nets, he wouldn’t guarantee to sign a contract extension after the season. This clearly shows he wants to come to the Knicks. 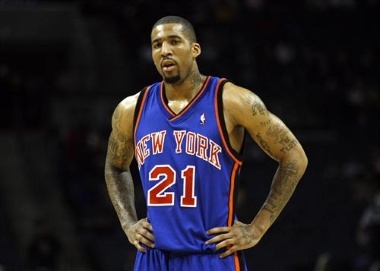 Amare has already been trying to convince him to come to New York. Best case scenario, Carmelo stays in Denver for the entire season. Let’s face it: the Knicks have close to no shot of winning a championship this season. If they get Carmelo this year, they will probably have to get rid of Chandler, Gallinari and a first round pick. If they wait, they can bring in Carmelo and keep Gallo and Chandler. Let’s be patient, get Carmelo in July, and strive for a championship next season.